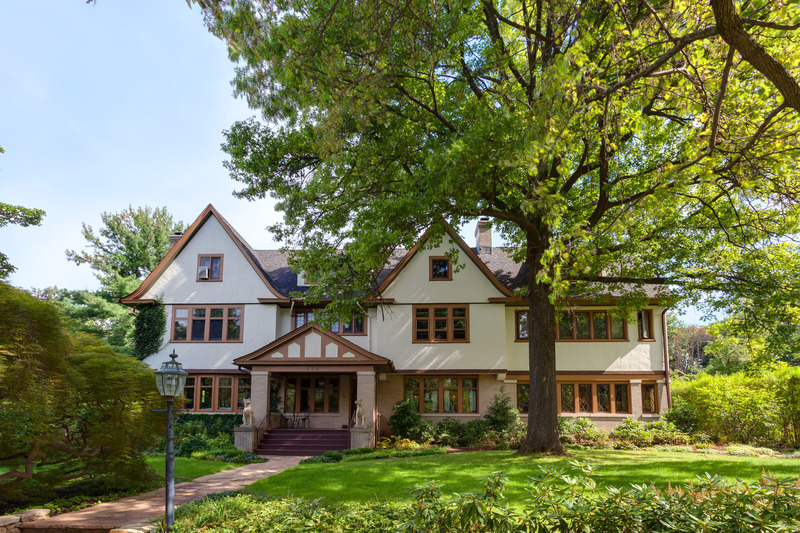 This Elegant, Extraordinary & Spacious TUDOR w/BEAUTIFULLY LANDSCAPED GROUNDS, POOL, over 7000 SQ FT of comfort & many rich details awaits its next happy & distinguished owner. Crown Jewel in Historic Montrose has UPGRADES incl KITCHEN, large/luxurious MASTER BEDROOM SUITE w/fireplace. ARCHITECTURAL DETAILS/AMENITIES incl. 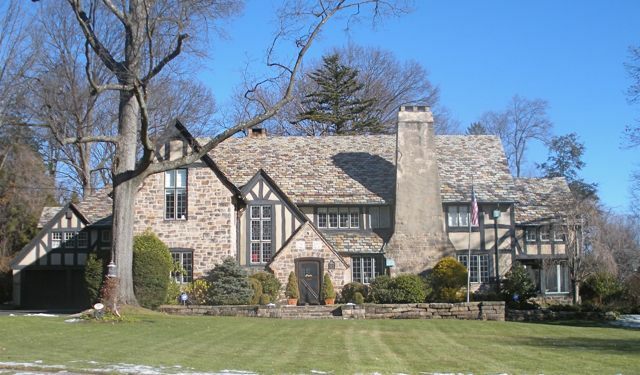 beamed ceilings, pocket drs, 8 FIREPLACES, Inglenook, stained glass, built-ins, closets galore,1st flr laundry, wine cellar, Koi pond, grapevine & distinctive entry. FIRST LADY, FRANCES CLEVELAND’S (wife of President, Grover Cleveland) former home. Kit, butler’s pantry, brkfst room, den, formal DR, sumptuous LR, office & powder grace 1st flr. Bdrms, offices, playrms, baths & studio on 2nd & 3rd flrs. Enjoy veranda overlooking Pool, Hot tub & Yard! 20 KW B/U GENERATOR & 3 CAR GARAGE. click on any of the link below for more info or call 201 600 8141 if you’d like to see it. 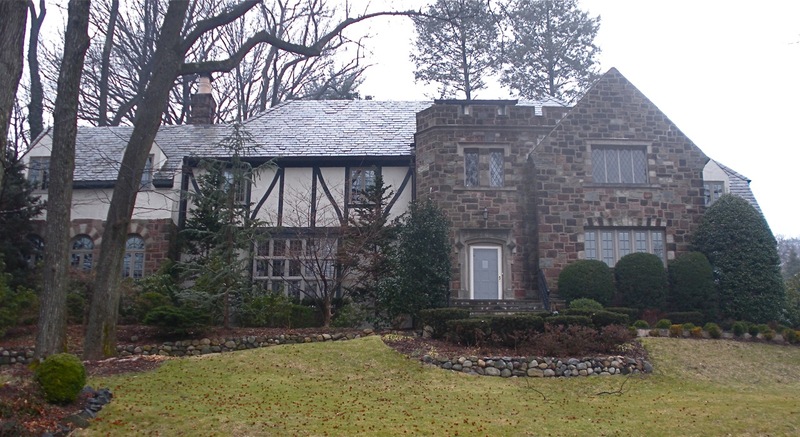 My favorite big Tudor in Maplewood…The stone and the half-timbering looks balanced and not too heavy.